When it comes to my evening bag, I tend to carry medium-to-large clutches (my Emma pencil pouch turned clutch has been my go-to lately). 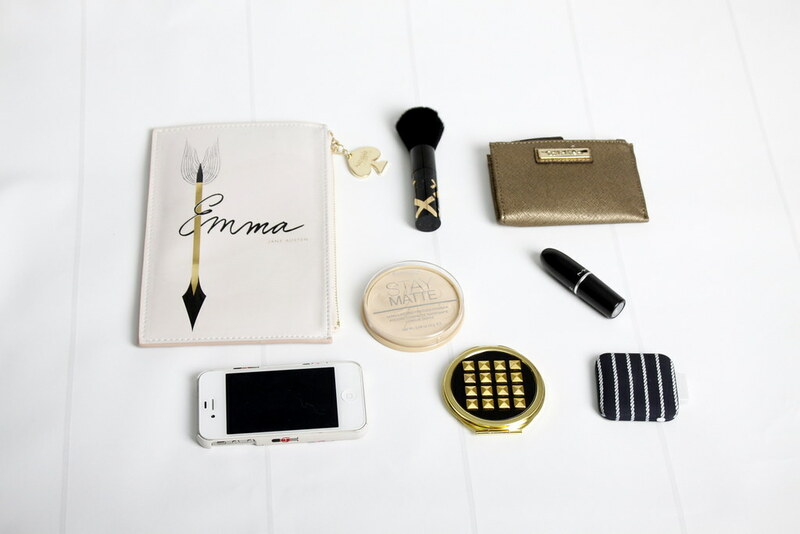 There’s only room for the essentials, so that means my phone/charger, a thin wallet, a mattifying powder/brush, a mirror and a lipstick option. I have one question for you: Is it the weekend yet?